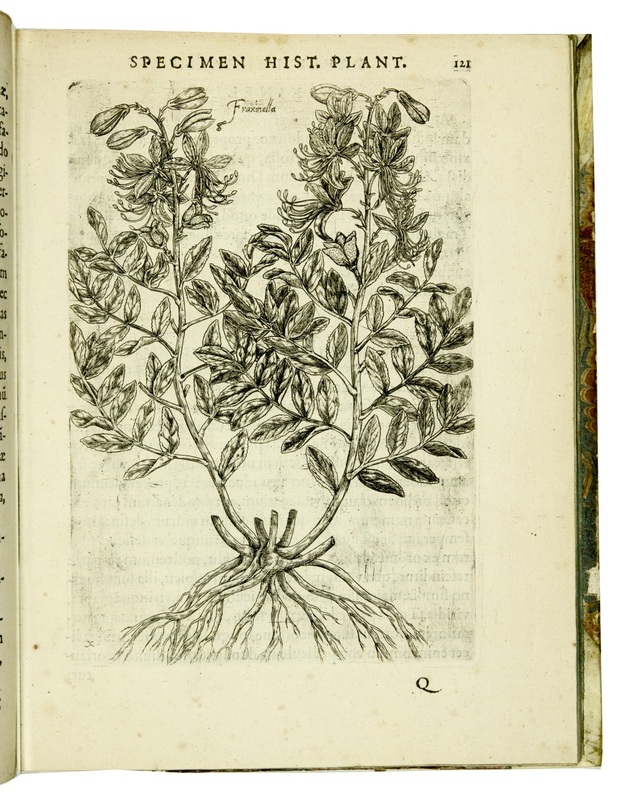 Specimen historiae plantarum. Plantae typis aeneis expressae. Paris, Hadrianus Beys, 1611. 4to (120 x 176mm). pp. (6), 154, 47, (1), with 25 full page engraved plates. 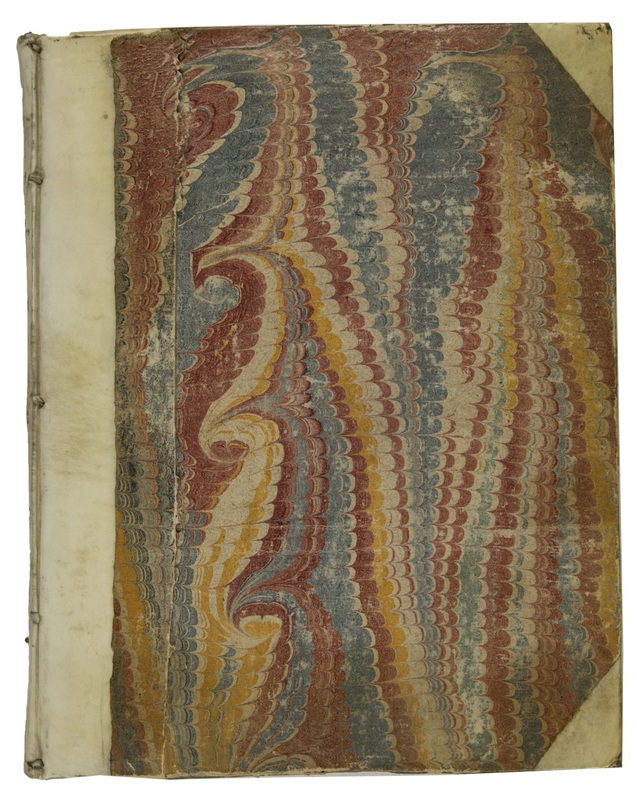 18th century half vellum, marbled sides (small paper damage to back cover). 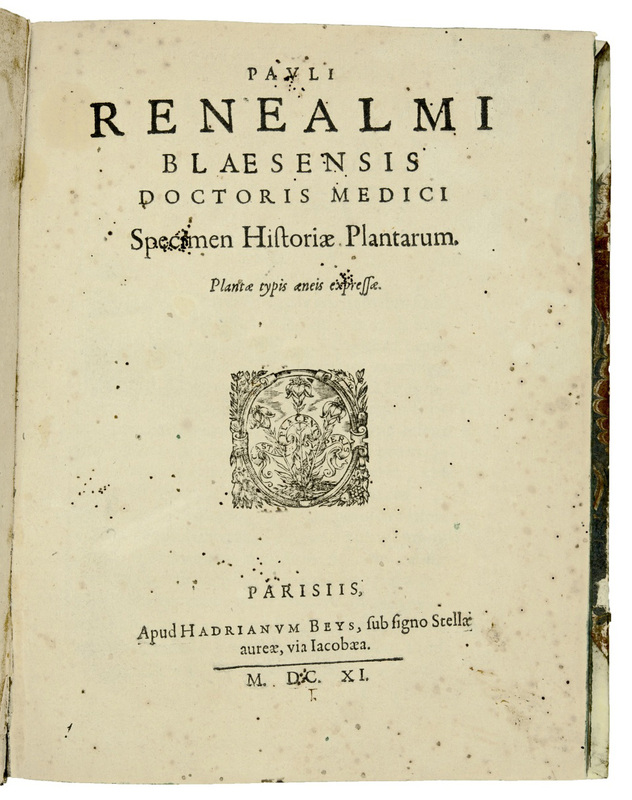 First edition, together with Jacques August de Thou's five poems printed at the end. 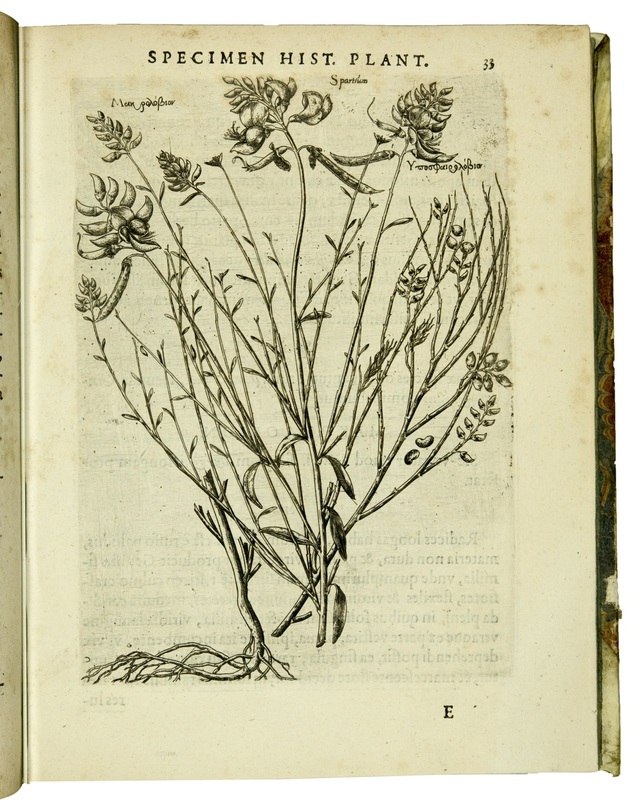 Most bibliographies do not mention the 24 leaves of the de Thou's text, it is however an integral part of the book. "Renaulme herborized in the Alps, in Switzerland, in Italy, and all around Paris. 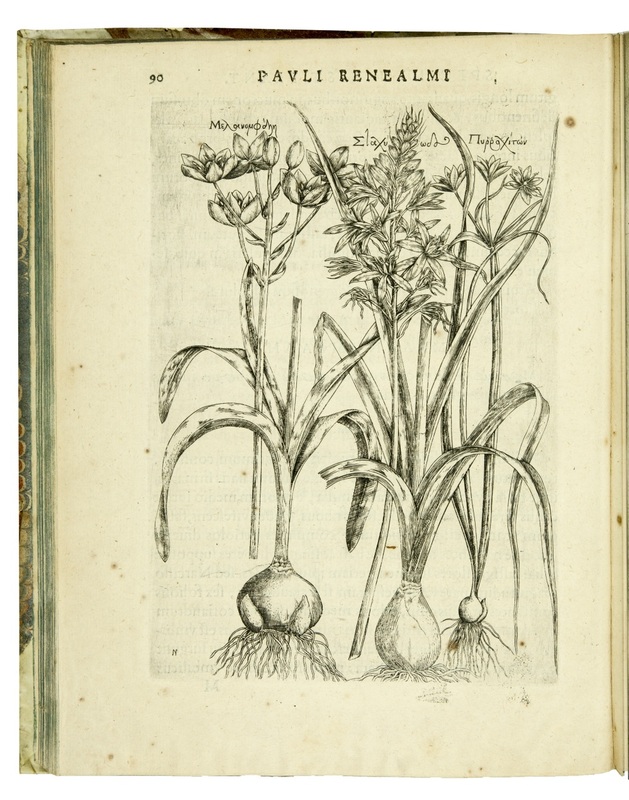 His book showed some awareness of the neccessity of plant classification, but he failed to arouse the interest of his contemporaries. Blunt speaks with understandable enthusiasm of the quality of the etchings, 'exquisitely sensitive and extremely personal in treatment. They are assuredly the work, not only of a great lover of nature, but of a great master of the etcher's craft'. H.H. Barlett also speaks with appreciation of the beauty of the illustrations, and his further remarks on Renaulme's nomenclature suggest that Renaulme was in advance of his time..." (Hunt 192). Title with some old inkspotting, some inoffensive yellowing of the paper throughout. Provenance: Bookplate of Ed. 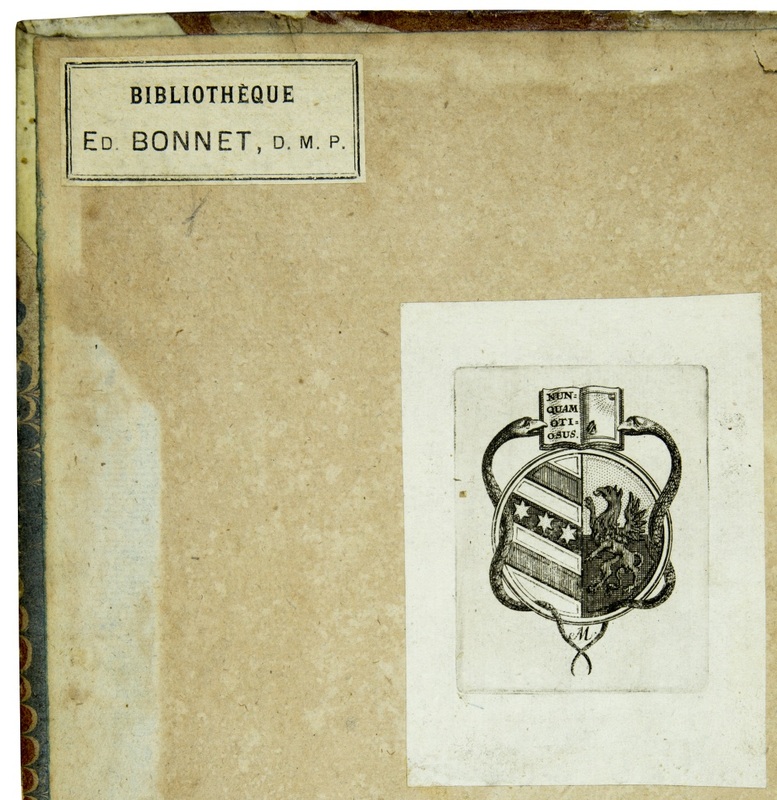 Bonnet, famous French botanist, and bookplate of 'The Horticultural Society of New York, Bequest of Kenneth K. Mackenzie', and another old armorial bookplate. Hunt 192; Nissen BBI, 1621; Stafleu & Cowan 9073.